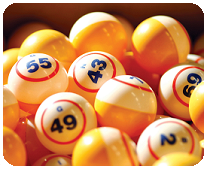 There are two major types that you will encounter as a bingo player: 75-ball bingo and 90-ball bingo. Since this popular game is played in various parts of the world, certain regions all over have adopted playing these two particular types (there are other versions like 80-ball bingo as well, but it’s not as well-known). So while the 75-ball is more popular in countries like Australia, the UK and Ireland, 90-ball bingo is mostly played in Canada and the United States. Popular bingo rooms are available for international customers and USA players alike, with a detailed review given on each of the ones we recommend here at Gambling666.com. Thanks to the online introduction of the game, people have got the opportunity to play both these forms. They can choose the version that they are really interested in without bothering about the geographical boundaries. Knowing the difference between these two forms will help you play better bingo and help you find a good fit with what ever bingo site you decide to play at. Both 75-ball bingo and 90-ball bingo follow the same basic principle. Players have to choose a random number that they have to deduct from their lists. Once the caller mentions a number, the players will have to make sure that they remove the same from their lists. 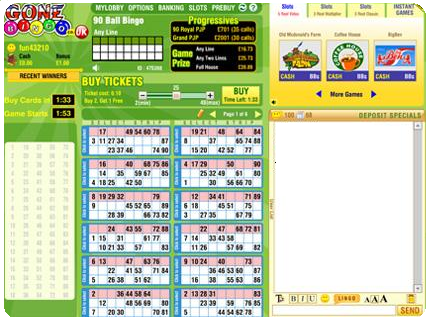 Obviously this process is all automated and interactive when you download an online bingo site to your computer, but it generally works similarly to a live bingo hall. This game involves numbers from 1 to 75. The players will be dealt a card that will have these numbers. The numbers are divided into 25 squares, spreading in 5 rows. Of these squares, 24 are numbered while one is left blank. You will see 15 numbers under every row. While making the call, the caller will also add an alphabetized letter before the number. Take a closer look and you will notice that the alphabet on the scorecard represents the word ‘BINGO’. These alphabets denote one of the five rows where you will find the number. The call can be done either from top to bottom or from left to right. In order to win this particular variation of the game, you will have to mark all the called numbers in your card and get a pattern. Often the shape or type of this pattern is decided beforehand. This is considered to be more complicated and difficult than the 75-ball version. In this game, you will get three chances or three cards in all, which are popularly known as strips or tickets. As in 75-ball bingo, here too you will have to find and match specific numbers that are called. But the tickets will now have nine columns and three rows. Count them and you will find that there are 27 squares in each ticket, of which only 5 are numbered. I’ve attached a picture to the side of what a 90-card bingo card looks like for better reference. The numbers can be anything from 1 to 90. The caller calls random numbers from a board that has six rows with numbers up to 90. As there are three chances, here you will get prizes on matching one row, two rows or a full house, meaning all the three rows. However, the prize money will obviously vary based on the type of success. If you’re looking for a chance to brush up on your bingo skills, we recommend Cyber Bingo for all your gaming needs. Not only do you get FREE cash to play with upon sign up, but they also offer generous deposit options and have amazing promotions and tournaments going on daily. They have a dedicated support staff and even multiple casino games and slots you can play if you get bored during your bingo session and want to try something different.